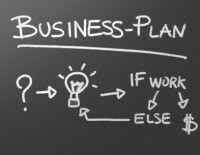 Home › Uncategorized › Do Solopreneurs Even Need A Business Plan? 1. Business plan templates often ask for information not relevant to your business, such as detailed plans for capitalization through mechanisms such as bank loans and venture capital. 2. Commonly used biz plan templates often do not support newer business models such as Internet-only businesses, those with little or no physical inventory, or direct marketed businesses. 3. The templates also often short-change the marketing and customer service aspects of the business, arguably the most vital parts of business activity for micro-businesses. Even though commonly used business plan templates or outlines don’t serve solo professionals particularly well (bizplans4u Templates do by the way – sorry for the shameless plug) you still will do better in your business if you have a written business plan. So if the dirty little secret of your business is that you’ve done no formal planning, listen up! You need a plan! Here are just a few reasons why. * Completing a solopreneur biz plan forces you to become clearer and more succinct about what you offer, and that enables you to talk to prospects (potential customers) in a way that attracts them to your services. * A completed plan gives you specific goals to hit at specific times, which allows you to review and reflect how you are doing up against what you said you could do 3 months, 6 months, or a year ago. * Often even more valuable than both of the above, having a plan helps you avoid the “bright, shiny object syndrome” that so many of us have. It gives you a quick way to judge whether the opportunity is a distraction or something that will actually help you hit your goals. There’s much more that proper business planning can do for solo professionals. And by proper, I mean planning that is crafted specifically for a small, solo business that operates out of the home (or a small solo office). While you don’t need a huge plan that talks about venture capital and bricks and mortar buildings, you still will benefit from thinking about your structure, your goals, and your timelines. I suggest that you block out just 30 minutes twice a week, and begin to build a simple business plan that helps you guide and build your business. Give it six months, and you’ll find your business has grown in ways you didn’t expect! Or, to expedite things, purchase one of our simple business plan templates and be on your way almost immediately! ‹ Top 7 Business Entities – Learn How to Set Up Your Business!